Broad street studios provides remote, on-location, professional recording services . We are dedicated to capturing the sound you want anywhere you want it. We bring the most efficient and highest quality studio equipment to the remote location. Along with this, we bring a thorough understanding of how to record on location. Whether you are a singer/songwriter, a Blues band, Rock band, or an acoustic duo, we allow you to make a recording anywhere you feel comfortable. Some performances such as recitals, live concerts, organ concerts, choral and orchestral location performances, etc. simply can not utilize the benefits of a purpose-built recording studio. For these recordings, Broad street studios possesses remote-recording equipment that can be brought onto your specified location to record your performance in a space of your choosing. Broad Street Studios array of fine microphones and other external audio recording equipment, as well as our video cameras, lights, etc. may be brought onto a remote location to achieve your desired recording, be it audio, video, or both. Our array of fine equipment and one or more of our talented engineers will do our best to make your recording the best it can be, regardless of the location that you choose. We highly recommend discussing the pros and cons of the venue and recording approach that you are interested in pursuing with one of our seasoned experts, so that we may help you achieve the best possible results for your budget. Have you ever wanted to do a remote recording at a concert venue, house of worship, club or even in a cabin or rehearsal space? Did you think the cost and trouble of getting a remote recording truck from LA or SF was going to break your recording budget? Thanks to advances in technology and the experience of Broad Street studios remote recording service, we can bring a compact 64 track digital recording rig to you at a price you can afford. 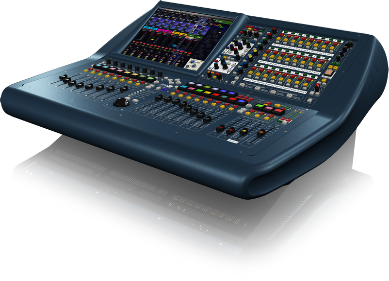 The rig is based on the Midas Pro2 C digital console and fits in a couple of road cases that can go just about anywhere. Call us to see what we can do for you on your next project.